← A towel too far. Just Sayin’. Hands off my name candy! Just Sayin’. A big vat of these suckers just arrived from my boss in the east coast office. 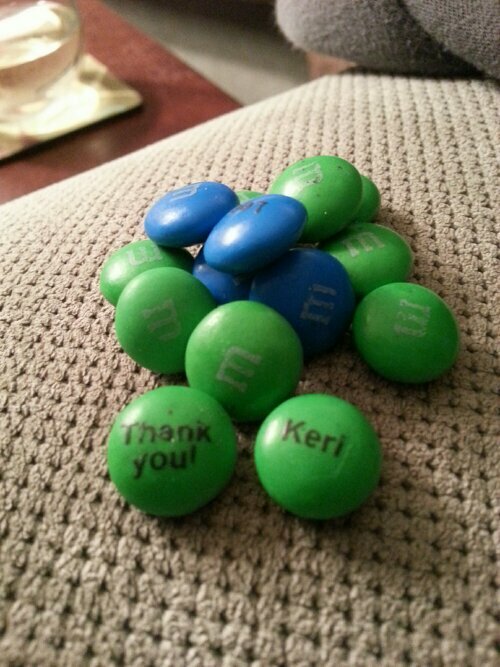 A note for The Mr: These are thoughtfully labeled with the intended eater’s name. That means they burn like eating the sun if any other shmoe attempts to snack them down. It’s a total fact.